A survey released this week by Hanley Wood shows that recovery is still evading the U.S. housing market. Consumers are in no hurry to buy a home even though they believe in homeownership as well as the significance of a healthy housing market in aiding economic recovery. “We thought people would be soured after watching home values fall, but instead we found the typical American still places high value on homeownership,” said Frank Anton, CEO of Hanley Wood in a release. The media and data research company polled about 3,000 homeowners and renters in June and more than 68 percent of respondents believed that the time was right to buy a house. But, their belief and wishes were dampened by the realities of today’s economy, the survey found. Unemployment, strict lending practices and an uncertain future continue to take its toll on consumers. “As long as buyers are uncertain about what’s happening in the economy and where house prices are headed, they are going to be slow to move. There is no urging the market,” Kent Colton, a senior fellow at Harvard University’s Joint Center for Housing Studies told Reuters. There is a silver lining though. The survey found that 29 percent of renters and 19 percent of homeowners are considering buying a home in the next two years. Those numbers mean an upward of two million potential buyers are waiting for the right time to plunge into the market. Now that could definitely be a game changer. Without an aggressive and creative solution, home prices will not pick up and aid in economic recovery, according to new forecasts. Home values will continue to fall for years, says a poll conducted by the Professional Risk Managers’ International Association for research firm FICO. The poll conducted among industry experts found that bankers expect delinquencies on consumer loans to rise, underwriting to be stricter. They also expect the housing market to continue to struggle for a while. Forty-nine percent of the respondents said they don’t expect home prices to touch 2007 levels before 2020. Mortgage delinquencies will remain at a high for at least another five years, an overwhelming 73 percent of respondents said. The findings indicate that more needs to be done to aid the housing market toward a speedy recovery. Aggressive steps toward creating jobs is not a good enough catalyst for rejuvenating the housing market. Also, the never-before-seen low mortgage rates are good, but they are doing little to help the market when lenders are following strict lending guidelines. Sellers are again smiling in the Miami market. Home sales in the city are up 50 percent so far this year, according to the Miami Association of Realtors. “People were saying, ‘Oh look at all those empty buildings in Miami,’ Oliver Ruiz, managing broker at Fortune Realty and former residential president of the Miami Realtors’ Association told the Voice of America. “Well, all those empty buildings are now full.” Foreign buyers are responsible for the major turnaround. Miami has always been an attractive destination with its beaches, nightlife and fine dining. Buyers are pouring in from all over the world to have “a piece of the pie in Miami,” Ruiz said. As if falling prices and stricter lending were not enough blows, the housing market received another terrible punch when the cap on mortgages eligible for federal loans was lowered. According to The Real Deal, only loans of $625,500 or less would be eligible for lower down payments and interest rates as compared to the previous limit of $729,750. This rule, of course, applies to the country’s most expensive markets. The changes baffled experts who are wondering why the government decided to act on this when the market is already comatose. Certainly not good news for sellers and buyers, who are already struggling. 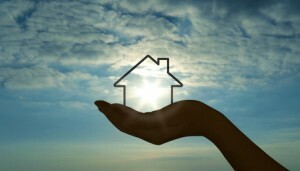 Homeownership rates plummeted to 65.1 percent in 2010, according to new data released by the U.S. Census this week. Tighter credit, unemployment rate and reduced government involvement could prevent the country from returning to its home ownership peak levels earlier in the decade, the story said. The trend is driven by more and more young adults moving in with their parents. Also, homeownership levels among middle-aged adults are at their lowest because of foreclosures or bankruptcy. Another significant find was that the homeownership gap between whites and blacks is at its widest since 1960, the AP story said. You’ve been pouring over job listings for months, and you’ve finally found a position that really excites you. The only problem is it’s in a different city. How will you make yourself stand out from the local talent? When companies are recruiting, they look first at the candidates who are locally available. Why should a company hire someone from outside the city, when a person with the same skills is available locally? Is mentioning relocation in a cover letter even a good idea? You will need to find a way to make yourself look like a more attractive job applicant than your competition. Relocation costs companies money, so if you are able to afford the costs, a relocation cover letter that says you will pay for your own relocation might be just the thing to get a hiring manager’s attention. When you are in a different city, the company may not have an opportunity to see you, which can make it harder to create a great first impression. All they have is your cover letter and your resume. While your resume is important, your relocation cover letter is where you really need to convince a company to consider you over other applicants. This is where you really sell yourself. Think of the company as your customer, and you are the product that you are trying to convince them they need. Let them know how you will benefit the company, and make sure they know that they will not incur any additional costs or hassles by choosing someone from another city. The last thing you want is for a company to feel as though hiring you might be a burden. You want them to put your relocation cover letter and resume on the top of the stack that is accumulating in their office. What is a Relocation Cover Letter? Your resume should always be accompanied by a formal business letter known as a cover letter. The cover letter is used to highlight the specific reasons you feel a company should consider you an attractive job candidate. Therefore, if you will need to relocate to accept the job for which you are applying, you should send a relocation cover letter along with your resume. In it, be specific about your intent to relocate to the city where the job is located without any hassles. A company will be interested in the following points, which should be included in your cover letter. Use these as the main points in the body of your relocation cover letter template. The most important part of any cover letter should be to include details about your skills, your qualities and how you intend to benefit the company. Talk about your qualifications, your specific talents, and aspects of your personality that will make the hiring manager see you as a top candidate for the job. Remind them that you may not be in the city in which they are recruiting, but good companies select top talent regardless of location. Typically, it is not a good idea to state that you will move only for the purpose of the job. For a company, this looks like you’re not too sure you want to make your new location permanent. It is better to say that you’ve decided to relocate to the city where the job is located anyway, as opposed to stating that you are moving just for the sake of the job. You should state in your relocation cover letter that you’re looking for jobs in that city and looking to permanently shift there. This gives the recruiting company more assurance that you will actually move. If you are willing to pay your own costs of relocation, you must state this in your relocation cover letter. This is an important thing for the company to know. If you leave this information out, the company may assume that they will incur the costs of you packing, moving, finding a house, finding new furnishings or getting temporary storage, and they are less likely to consider your application over local talent. The company needs to know if you are willing to pay for these relocation expenses yourself. If you are, communicate that in your cover letter, so the company will notice. Writing a compelling cover letter that sets you apart from other applicants can be an arduous task. Deciding between writing a full relocation cover letter versus just mentioning relocation in a cover letter can be a hard choice. Either way, your cover letter should deal with the topic of relocation in a clear and concise manner. I will be relocating to (name of the city to which you want to move) as my spouse has been transferred there to manage an entire branch of his current organization. (Insert your own reason in the last sentence, but be honest. You could also say that you believe the job opportunities will be greater for you there.) I am presently located in (name of city) but am willing to incur all the expenses that might be involved in relocating. I will be in (desired city) between (date) and (date). You may call me at 123-555-4567 to arrange a meeting to discuss the position in accordance with my experience and your requirements. I look forward to hearing from you. Thank you for your consideration. First up is some positive breaking news for the housing market. Shadow inventory of homes is declining, providing a dose of good news for the glum housing market. Shadow inventory, or homes on the verge of foreclosure, fell to 1.6 million units representing a five-months supply in July compared to 1.9 million units representing a six-months supply a year ago, according to CoreLogic. It’s a good sign that troubled homes, normally headed toward foreclosures, are getting sold faster. 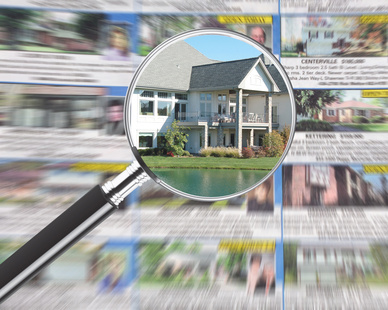 Lesser inventory will help stabilize falling prices on homes for sale. Of course we won’t be seeing a drastic change in numbers, but even a small percentage of troubled homes off the market is a blessing for sellers and the industry as a whole. Some more indication of baby steps toward a market recovery. For the fourth consecutive month, home prices were on the upswing in July compared to the previous month. But the bump wasn’t good enough to give the market a clean bill of health, yet. According to data released by S&P/Case-Shiller Home Price Indices, home prices across 20 major urban areas in July remained flat when adjusted seasonally, and down 4.1 percent compared to a year earlier, despite showing a 0.9 percent gain. The trend of prices rising is a good sign, analysts said. “With July’s data we are seeing not only anticipated monthly increases, but some fairly broad improvement in the annual rates of change in home prices,” said S&P’s David Blitzer, according to an AFP story. 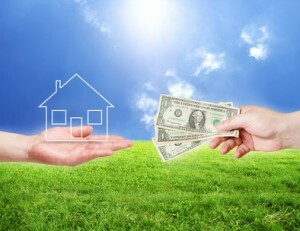 However, he said, “if you look at the state of the overall economy and, in particular, the recent large decline in consumer confidence, these combined statistics continue to indicate that the housing market is still bottoming and has not turned around.” Prices across the country were at the level of 2003, according to the report. Here’s more music for the ears of potential homebuyers. Nudged by the Federal Reserve’s proposal to reduce borrowing costs, mortgage rates fell to the lowest in Freddie Mac’s recorded history this week. Rates on a 30-year-fixed loan hit an unimaginable 4.01 percent, down from 4.09 percent. On a 15-year loan rates dropped to 3.27 percent. 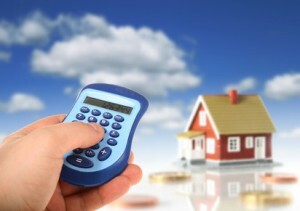 The lucrative rates are aimed to lure consumers toward buying and refinancing their existing mortgages. Many are taking the bait. According to the Mortgage Bankers Association, there was a 9.7 percent rise in loan applications last week. However, a good section of consumers have not been able to take advantage of the rates because of stricter lending standards. Some good news for buyers which turns out to be not-so-good news for sellers. Sale of existing homes dropped 1.2 percent in August, according to an index by the National Association of Realtors. The measure shows that sales dipped to 88.6 percent in August from 88.7 percent the prior month. The data, which takes into consideration signed contracts but unclosed deals, shows that the numbers are higher when compared to the same period last year, but that’s hardly a consolation since last year’s showing was affected by the expiration of a federal tax credit for homebuyers. Lawrence Yun, NAR chief economist in a press release blamed the numbers on an uneven market. “The biggest monthly decline was in the Northeast, which was significantly disrupted by Hurricane Irene in the closing weekend of August,” he said. “But broadly speaking, contract signing activity has been holding in a narrow range for many months.” If you are looking to buy, now may be a time to get involved in the market, Paul Dales, senior U.S. economist for Capital Economics, told the Wall Street Journal. But, a lot of people have been unable to cash in on the situation, he said. Some analysts blame the job market and slipping consumer confidence. In these shaky times, many people prefer to rent than invest their savings on a new home.